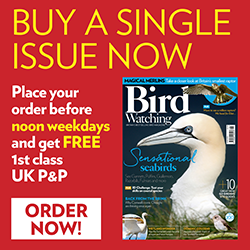 This article first appeared in the March 2014 issue of Bird Watching. You can download back issues for iPad, iPhone and Android devices from the Apple App Store and Google Play. I didn’t need a translator to tell me that this was a Dunlin. But it was a bird I was used to seeing as one of a distant flock of anonymous, drab little waders. Now, at point-blank range in the hands of its French captor, it was exquisite. I drank in the bright eye, stippled breast, chestnut-fringed scapulars and coal-black belly. It was feisty, too, flapping vigorously, impatient to make up time and get back on track to Siberia. This was an early morning in early May, on the coastal marshes of the Reserve Naturelle Moëze-Olèron in the Poitou Charentes region of Atlantic France. The bagueur was one of a small team who had been working all night to ring the migratory waders that drop by on their annual odyssey to Arctic breeding grounds. Soon the team was packing up, heading for a coffee. The last Dunlins – now ringed, their biometrics recorded – were released. Some simply walked out of their opened bags on the ground, as though to continue the journey on foot, before overcoming their temporary befuddlement and taking flight. The night’s haul had comprised some 260 birds, mostly Knot, Dunlin and Black-tailed Godwit. All part of ongoing research to find out just how important the marshes are to their long-distance visitors. The Poitou-Charentes coastline is riddled with wetlands and coastal lagoons that offer perfect pit-stops for passing migrants. But this particular reserve has the added bonus of being right on the doorstep of France’s premier conservation society. The LPO – Ligue pour la Protection des Oiseaux – is the Gallic equivalent of the RSPB and has its headquarters in nearby naval Rochefort. What’s more, it’s within easy reach of our shores. A Eurostar hop to Paris, followed by an extremely comfortable SNCF train south-west, had got me to this historic naval town by late afternoon the day before. I’d even spied Montagu’s Harrier and Golden Oriole from the window. That evening, I’d enjoyed dinner just outside town at the charming home of Alison Duncan and her husband, two among roughly 40,000 Brits to have made their home in Poitou-Charentes. Alison works for the LPO, which celebrated its centenary in 2012 and, by coincidence, has roughly 40,000 members. This may seem small beer compared with the RSPB, but she explained how membership is rising nationally while, locally, some important environmental projects have helped get the community onside. As we chatted on the terrace, Nightingale song exploded from every thicket and Turtle Doves purred from the trees beyond, both species having just arrived in big numbers during the last few days. “They keep you up all night,” said Alison, of the latter. But I suspect she’d have it no other way. The evening had been an eloquent reminder of the feathered riches of this part of the world, where farmland and birdlife still seem more compatible than on our side of the Channel. By the time Alison had reeled off some of the other local birds, including Stone-curlews in the surrounding fields and a winter roost of Long-eared Owls that have been known to tap at her kitchen window, I was already regretting that my visit would last only three days. After bidding the bagueurs goodbye, I continued with guide Nathalie Bourret on a tour of Moëze-Olèron. We followed farm tracks past lush polders, where Corn Buntings and Yellow Wagtails sung from fenceposts and Marsh Harriers cruised the dykes. A quick scan from a wooden viewing platform revealed Shelduck, Little Egrets and a distant Spoonbill dotting the watery landscape with white. Nathalie told me how winter brings thousands of Greylag Geese and Pintail to these marshes. Binoculars revealed two White Storks clattering amorous bills high on their nest platform. From a roadside hide we took a closer peek at one of the pools. Marsh Frogs croaked lustily, their tympana inflating like helium balloons, and a rare European Pond Terrapin plopped into the water from its log. While Nathalie explained how Purple Herons and Bitterns breed in these reedbeds, I watched Redshank working the shallows and a Snipe crouching at the back. Meanwhile, a Kingfisher dashed along a ditch, a Hoopoe flopped out of some nearby poplars and a Zitting Cisticola rose into the air, peeping monotonously. The road ended at a tidal creek, from where a wooden boardwalk led onto the saltmarsh. Nathalie’s distracted air suggested she was trying to find me something. An interpretation board gave the game away. “Vous connaissez sans doute le rougegorge,” it read, meaning: “No doubt you’re familiar with the robin” (literally “red-throat”). “Mais avez-vous vu la gorgebleue a miroir?” Sure enough, a Stonechat-like ‘tutting’ betrayed a pristine male Bluethroat flashing his finery from a fence post. I enjoyed a quick view of the brilliant bib, complete with white ‘miroir’, before, caterpillar in bill, this avian A-lister disappeared into the scrub. Back in Rochefort, Alison gave us a quick tour of the LPO premises. Behind imposing sandstone walls, decorated with terns in flight, was a hive of activity and resources. As well as information about the local reserves, I found colourful displays illustrating ambitious projects further afield, including Lammergeier reintroduction in the Alps. From Rochefort it was a 20-minute drive up the coast to our next stop, the Reserve Naturelle Marais D’Yves. At the modest visitor centre, an interpretation board boasted that the reserve’s rich soils support 574 plant species, including such gems as Seashore Iris, as well as 31 butterflies, 21 mammals, six reptiles and eight amphibians. This biodiversity seemed amazing for such a small patch of land. Meanwhile, the tail end of the spring migration was still bringing in its share of feathered travellers. As visitor guide Jean-Paul Pillon led us out towards the coastal lagoons, pointing out the Highland cattle that munched away as part of the habitat management regime, I spied atop a low bush the upright silhouette of a shrike. The rufous crown identified it instantly as a Woodchat, so I was a little thrown when Jean-Paul lowered his binoculars and proclaimed “pie-griéche ecorcheur,” which, in my book, translates to Red-backed. Only then did I realise that there were two shrikes – one of each – two bushes apart. Nightingales hollered from the thickets as we approached a wooden hide and it took a keen ear to pick out other voices: the frantic chatter of a Melodious Warbler; the abrupt jumble of a Cetti’s. Seated inside, we gazed out onto a mosaic of lagoons, where islands were loaded with waders: Black-tailed Godwit, Curlew, Grey Plover and Redshank. A cloud of Knot swept in over the sea wall, flashing and wheeling like a shoal of fish. Bird nuts we may be, but it would have been a crime to visit Rochefort without exploring its rich heritage. The town came to prominence in the 17th Century as an arsenal for the French navy, its position on a meander loop of the Charentes, just inland from the sea, keeping it out of range of British gunships. My guide Christine Lacaud led me among the elegant stone buldings, visiting the Musée de la Marine, the Corderie Royale – where ropes were made for the navy, and which was at one time the longest 18th Century building in Europe – and the harbour. We then hopped aboard one of the regular ferries to the Île D’Aix, a tiny island just north of Rochefort on which, in 1806, Napoleon spent his last nights on French soil before the British carted him off to exile on St Helena. With no cars permitted, we meandered around the island on hired bicycles and from the return ferry I watched an Arctic Skua harassing Sandwich Terns against a glowering storm sky. With an hour before sunset, we headed back through Rochefort to the Station de Lagunage, on the banks of the Charentes. A wastewater treatment plant may not top every tourist agenda: raw sewage, after all, struggles to compete with 18th Century galleons and a plate of fruits de mer. But this innovative facility, powered by its own renewable energy, is packed with birds. From the environmental education centre, we followed a boardwalk down to the settling ponds, passing chuntering Great Reed Warblers and an inquisitive Weasel. Among the throng of waders, Black-tailed Godwits dominated, glowing auburn in the evening light, while Avocets, Greenshank and Black-winged Stilts picked their way through the crowd, Whiskered Terns fluttered over the water and a Black-necked Grebe popped up among the Shovelers at the back. I might have tracked down breeding Little Bustard and Ortolans. But, hey, I’d seen plenty of birds. And, what’s more, I was departing with a headful of Napoleon, a bellyful of French cuisine and a sense that the enormous riches of this place – both natural and cultural – were tailor-made for my next family holiday.